If you have been with me since the beginning, you know that Awake Organics holds a special place in my heart. They made me realize frankincense was actually a scent to be celebrated, their Divine Frankin-Sense serum was one of my first 'aha' moments in beauty and led me to start experimenting with facial oils, and they got me interested in crystals thanks to Melissa's stunning Instagram posts. They were also the first brand to take a chance on me as a blogger, and I will always be thankful and appreciative of that. 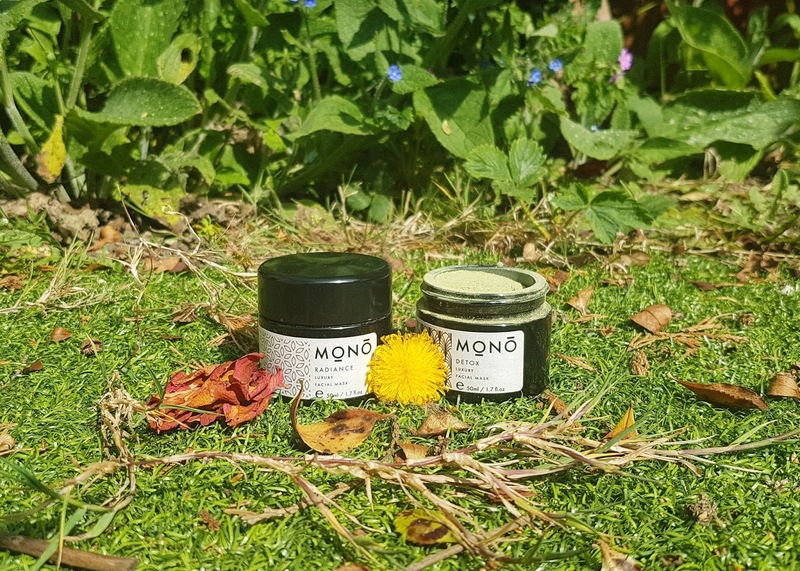 This UK-based company has it all - a clean range spanning deodorant to face masks, certified cruelty free, unique formulas that are super effective and suitable for all skin types, transparency in all aspects of the business, and a kindheartedness that shines brightly in everything they do. 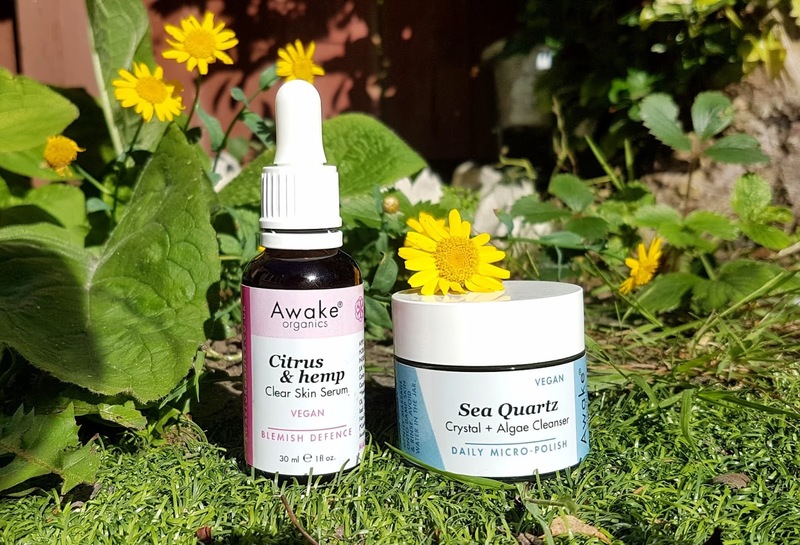 Awake Organics certainly raises the bar when it comes to eco-friendly beauty. I have tried everything on offer minus the Divine Skin Concentrate and the upcoming perfume oil, and I have fallen hard for each and every one. So when I heard that Awake Organics was creating a new signature product I couldn't help but be excited! 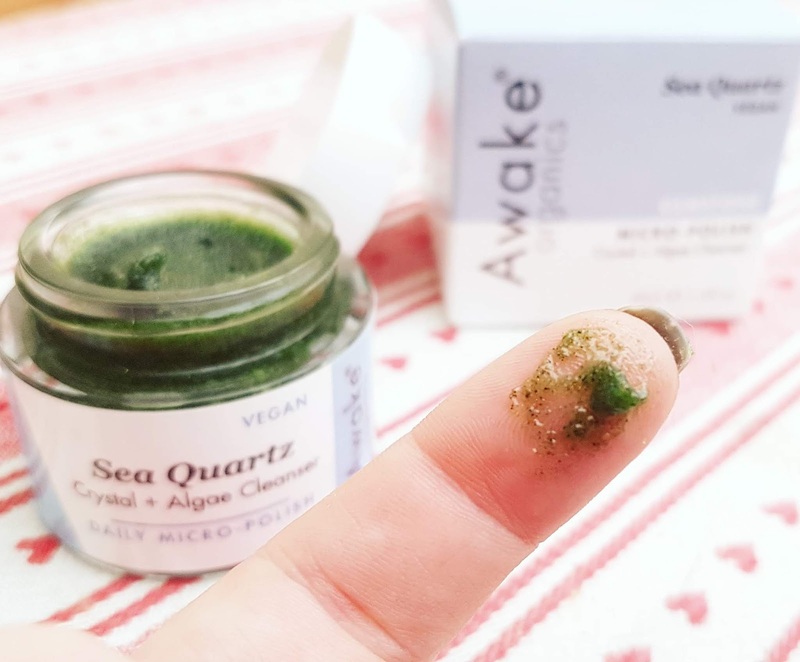 Sea Quartz Crystal + Algae Cleanser* is a micro-polish treatment that is 100% vegan, 100% natural, and 98% food grade (yes, you heard that right - this product is actually EDIBLE!). 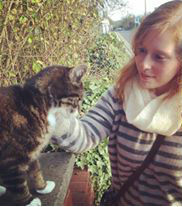 But it is also so so much more than that. This cleanser changes the whole game. Combing superfood spirulina, hydrating hemp seed, and clear quartz crystals, this vegan friendly formula works to transform the skin and leave a lasting glow. I'm not joking when I say I noticed a difference after just a single use. This stuff is the real deal!! "For crystal gemstone lovers, each pot contains 1 carat of artisan-milled, genuine clear quartz superfine powder. Just the right amount to infuse this product with positive energy." Clear quartz is iconic, being one of the most abundant minerals on the planet and widely available due to its ability to develop just about anywhere. It is the 'master healer' of all crystals, and is thought to reduce negative energies, stimulate the immune system, aid concentration, cleanse the soul, and balance the body. But those crystal particles don't just transmit their inherent positive energy - they provide a next level exfoliation treatment that is gentle enough for daily use. Tinier than even sugar, they provide the perfect grain to buff away dead cells and bring out the skin's natural radiance. Exfoliation is a key part of an effective skincare ritual, as it helps boost skin circulation (which in turn aids elasticity and skin tone) and keep cells fresh. However, harsh treatments can lead to sensitivity, acne, and an array of other skin problems, so it is important to be gentle and keep everything moisturized to avoid any damage. This is where Awake Organics' Sea Quartz Cleanser steals the show. Packed with soothing and hydrating organic plants and botanicals like blue chamomile, coconut milk, and sweet orange, this product ensures skin is soft and smooth, but also safe! Tumeric and brown rice work to brighten and refine the newly buffed cells, and in-house spirulina made in the AO studio plumps up the skin thanks to its natural levels of vitamin E, selenium, and tyrosine. Talk about a powerful punch! The gorgeous emerald green formula sparkles in sunlight as the rays hit the expertly milled crystal powders, and can even shift to a rich golden shade in the right lighting. I have never come across anything like this, and while I always opt for quality over aesthetics, Awake Organics has managed to produce a product that excels at both. Plus, it smells incredible -- almost like a creamsicle, but better! In terms of texture, Sea Quartz is next level amazing. 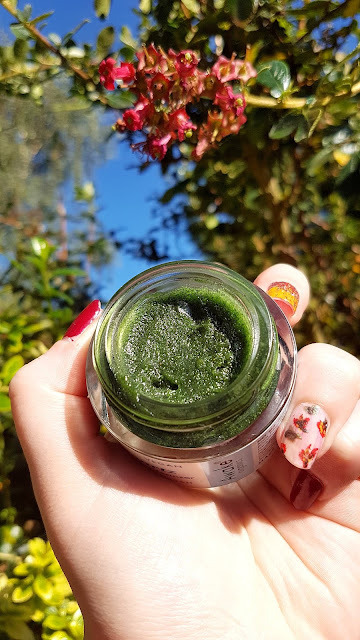 Gritty but smooth, rich yet lightweight, able to create a milky lather without sulphates, compact in the jar and balm-like when touched -- this formula should be impossible, yet somehow Awake Organics created a pot of contradictions that totally transforms the skin from the get go. I have been using this every evening for about a week now, and I honestly could not be more amazed. My face is glowing, I have not had any breakouts (which is a miracle, since nine times out of ten I get a few spots when I first introduce a new product into my routine! ), and I have not even put a dent in the jar yet since only a tiny amount is needed! This has to be my favourite skincare find this year! This cleanser is extraordinary on its own, but when paired with one of Awake Organics' plant based vegan skin serums, magic happens. 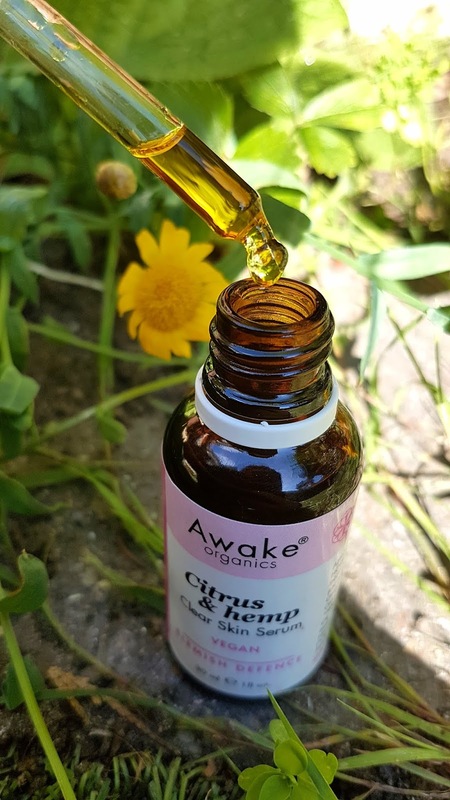 I adore the Frankin-Sense serum, but when Melissa offered to send me a bottle of the Citrus & Hemp Clear Skin Serum* I jumped at the chance as I knew this would be perfectly suited to my semi-sensitive skin. I am prone to hormonal acne (mostly thanks to my rubbish BC pill) and after scanning the ingredients in this 'Blemish Difference' oil, I had high hopes that maybe, just maybe that could change over time. With sea buckthorn, rosehip, hemp, and more, everything about this serum is expertly crafted to soothe, nourish, and protect. "Our potent combination of organic, food grade Lavender, Grapefruit, Tea Tree, Patchouli & Rosemary is extremely beneficial for many skin conditions as it helps support skin health and has powerful bacteria-killing properties. This blend is helpful for preventing breakouts and reducing the appearance of scars. The fresh aroma also helps invigorate the senses, naturally enhance your mood, and help restore creativity and flow." The oil is so uplifting, and while it looks heavy it absorbs fully and does not sit on the skin at all. A few drops after you have finished cleansing with the Sea Quartz is all you need to give your skin a radiance and moisture boost. And when you have finished applying, you can breathe in the excess and let the refreshing scent wash over your senses. The perfect way to start or end the day! I can't get over how well these two products work together, or how brilliant my face looks - I don't think I have ever felt this confident about my skin! The power of plants never fails to amaze me, and now that crystals are being incorporated into beauty, I feel I am experiencing the full force of nature. Intrigued by either of these products and want to try them yourself? You can find both over on Awake Organics own website, plus, Grab 15% off your first purchase over £14 from Awake Organics (excluding shipping and taxes). And, if you are interested in keeping up with the latest announcements, sign up to their newsletter! Unlike other brand newsletters, this delivers more than just discounts and sales updates - it is full of thoughtful content and informative pieces on crystals, skincare, self-care, and ingredients! 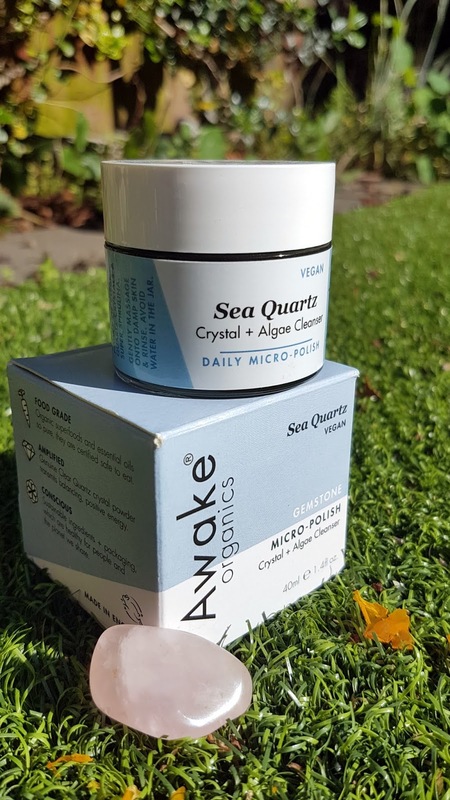 If you are looking to grab Sea Quartz, it is now available to order, but be quick! These green masterpieces are already almost sold out! * These items were sent to me by Awake Organics to review. All opinions expressed in this post are my own honest thoughts, and you can see my Disclaimer Page for more details. This sounds lovely and I absolutely adore how bright green it is! I've never tried any Awake Organics products before, they sound and look great! I don't think the cleanser would suit my skin but the oil sounds right up my alley! Excited to have found another CF brand, thanks for the recommendation. The Algae Cleanser sounds great and I love exfoliation products. Thanks for sharing. I might have to buy some. 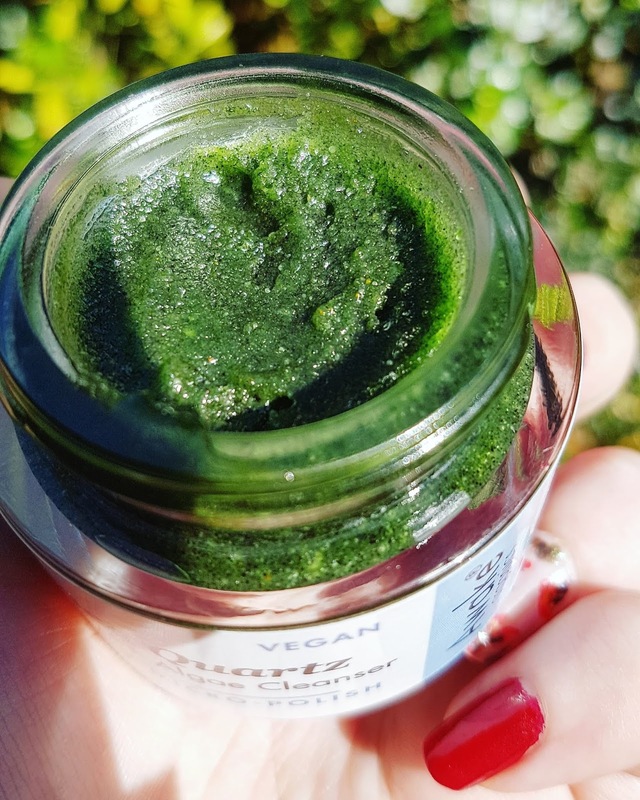 I have never heard of an algae cleanser, it sounds interesting! Sounds like a great brand and its good to know that its vegan. I love such products! These look gorgeous! I'd love to try the Sea Quartz Cleanser.